Linux and user data collection. Some people will decry such a thing, but they would be wrong. As long as the collection is opt-in, it is totally acceptable and in line with Linux ideology. When is it questionable? When users don't have a choice. With Windows 10 telemetry, for instance, users can opt out of sharing some data with Microsoft, but not all. And that's a problem. Even if Microsoft's intentions are pure, and designed solely with improving Windows 10, users should be able to refuse all data sharing at time of installation. 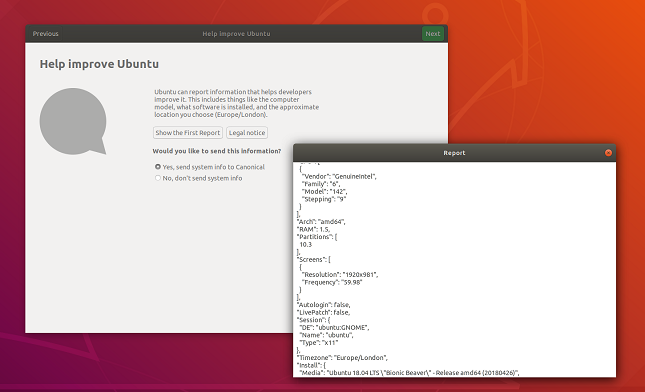 With Ubuntu desktop, Canonical has started collecting installation data, but it is doing it the right way. It shows the user exactly what data could be shared and lets them choose whether or not they want to send it. It is 100 percent optional -- the way it should be. Guess what? According to the company, 67 percent of users decided to do so. That is an impressive metric in itself. 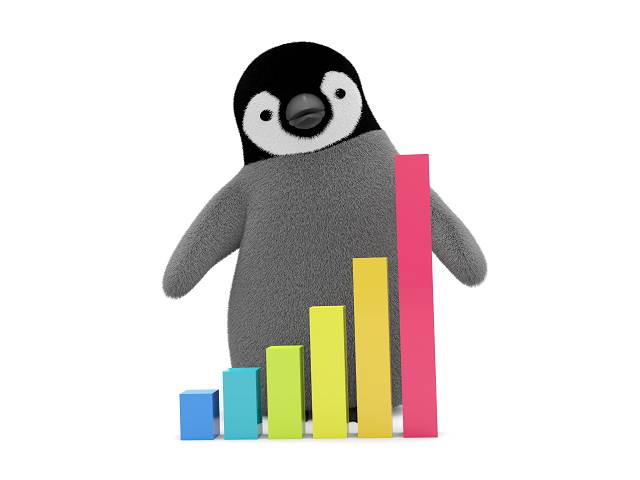 By being open and honest, Canonical achieved what I would call a successful conversion rate. Best of all, it gleaned a lot of interesting data, and it is sharing the analytics publicly. ALSO READ: Peppermint 9 Linux distribution now available with Ubuntu 18.04 base -- download it now! "We are asking for this data in order to build a better picture about our user base, and indeed the user base of any other distro that would like to get involved. With this data we can understand typical hardware setups and ensure that we are aligned with that hardware. We also get a good insight in to which translations are most important and where in the world people are using Ubuntu -- all of which means that decisions we make for Ubuntu desktop will benefit all our users," says Will Cooke, Desktop Engineering Manager, Canonical. Cooke further explains, "In February we committed to making this information public, and that is absolutely what we will do. Our design team are working on the best ways to present the data and ensure that information is safe and anonymous. Our web team will then implement those designs on a public website. This work is scheduled to be completed during the 18.10 development cycle. In the meantime however, I am pleased be able to offer some initial insights which I hope you will find interesting." Below are some interesting facts learned from the collected data. Almost all Ubuntu desktop installations are done on computers with a single processor. This is not surprising. While multi-core processors are prevalent, motherboards with more than one physical processor are extremely rare -- especially for desktop use. 4GB of RAM is most popular, while 8GB a close second. Surprisingly, there are more Ubuntu users with 2GB of RAM than those with 16GB. 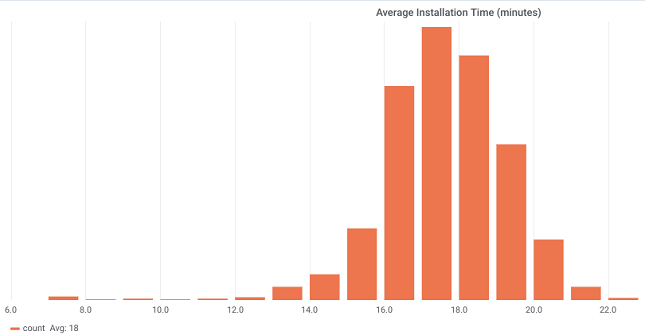 On average, an Ubuntu desktop installation takes about 18 minutes. This is pretty good, but Canonical vows to work hard to reduce it. 1080p is the most popular screen resolution, which is to be expected. 4K displays are still rather expensive comparatively, and quite frankly, HiDPI support on Ubuntu still is not perfect. A vast majority of users have single-monitor setups. Since many folks will install Ubuntu on a laptop, this is to be expected. 28 percent of Ubuntu desktop users select auto login, meaning no password is needed at boot. This is very risky behavior, and I am surprised the number is so high. Maybe Canonical needs to do a better job warning users. As you can see from the below map, the United States is far and away the country with the most Ubuntu desktop users. This data is a bit flawed, however. You see, for privacy reasons, Canonical is basing this on the time zone selected at installation. If the user in a different country leaves the default time zone selected and corrects it after installation, it will be incorrectly reported as North America. Unfortunately, Canonical is only sharing its own analytics and not raw data -- for now. This means data nerds cannot do their own analysis, sadly. Still, the company's sharing of this information is appreciated. To learn more, you can check out Canonical's blog post here.